D20s aren’t just for skills checks. They’re also for reality checks. One life lesson I’ve been trying to impart to my children is the respect and appreciation for nuance and complexity. I found this a difficult lesson to communicate. Until I started playing D&D with my family, that is. Because we had taken up tabletop RPGs as a family, I realized I had a concrete illustration tool right in my hand. And I played it. To the hilt. 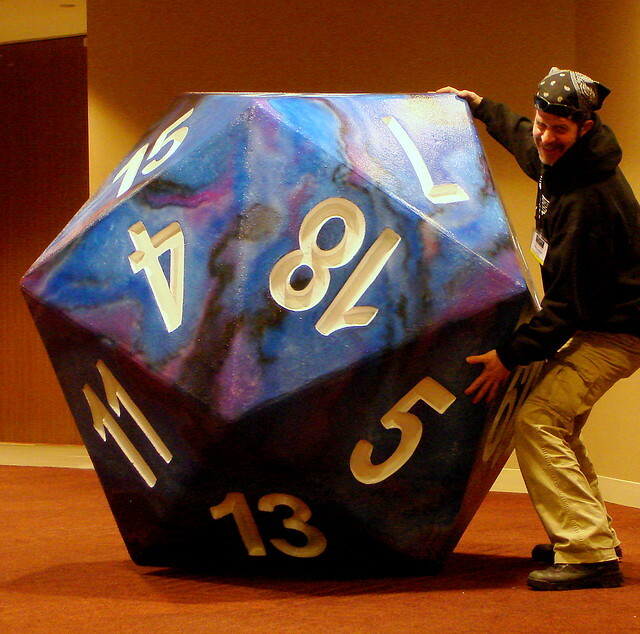 An issue, I had started saying, is like a d20. There are usually more than 2 sides, more than 2 perspectives. Like most parents, I don’t get much feedback to let me know I’m getting through. And, like most parents, this bothers me. However, tonight, I got the verbal confirmation from my teenage daughter that I’ve been craving. The highlighted quotation above was something she said to me, without my prompting. And, again, without my prompting, she told me how profound she thought the d20 concept is. My. Doesn’t that make a mother proud?